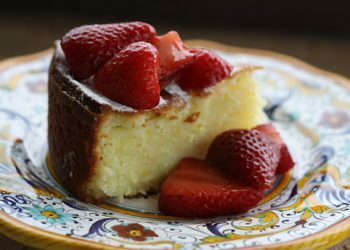 This is the third installment of my four part journal sharing our amazing adventure in Puglia created for us by Southern Visions Travel. 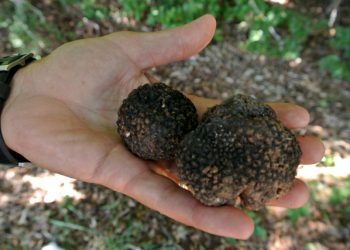 What started out as a basic cycling trip through Puglia, ended up as an epic adventure for both cyclists and non-riders like myself. 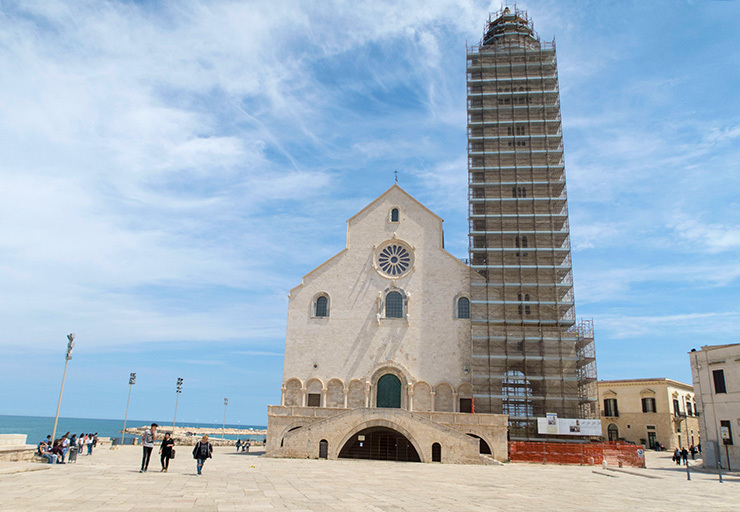 The plan was to meet in Bari, ride around the tip of Puglia, breeze through Matera in Basilicata, ride through Abruzzo, Le Marche, and finally, end up at our home in Umbria. I want to thank Southern Visions Travel for the great app that they shared with us which included all of our trip information. That and the daily snapshots, (a sheet of paper left in our rooms overnight that chronicled the next day’s activities) made writing this post much easier! 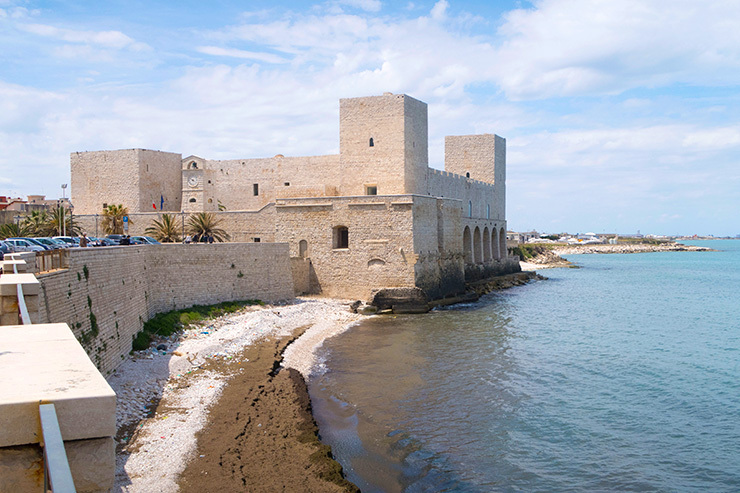 We woke up to another rainy day in Masserie Le Fabriche, and the riders had to make a decision on how best to get through the large city of Taranto to head to Matera. In the end, the decision was made to use the SAG van to maneuver around the city as Taranto can be a little rough in parts. 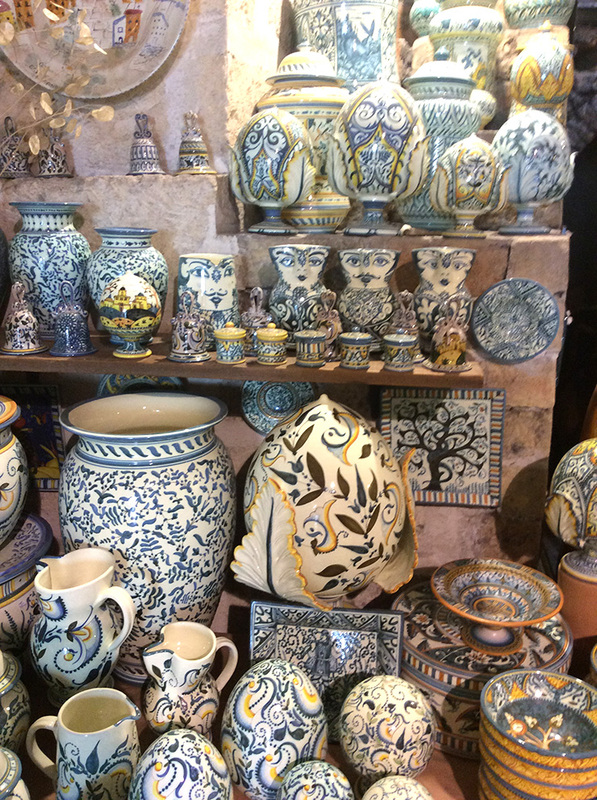 The ladies were excited upon awakening on this cool, rainy day, because not only were we headed to Grottaglie, the ceramic center of Puglia (SHOPPING!!! 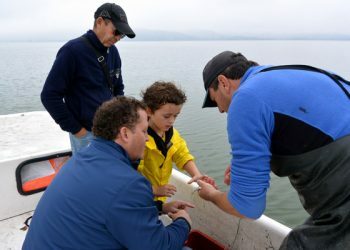 ), we also had Giuseppe as our guide for the day. 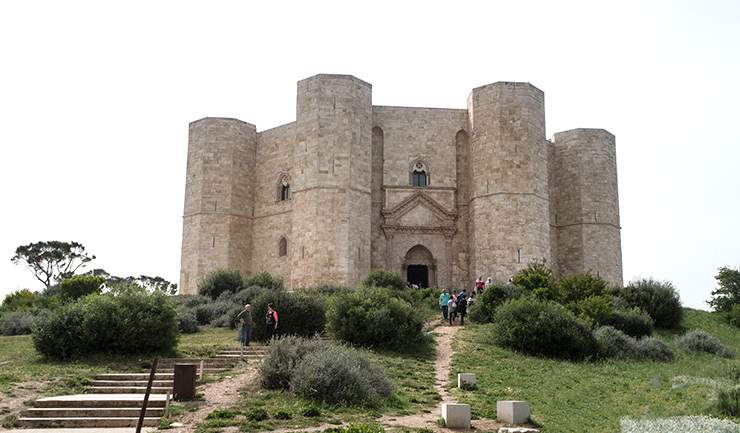 Giuseppe met us and asked if we would trust him to take us to another spot not on our itinerary, as he wanted to show us the Castello Imperiali in his hometown of Francavilla Fontana, which was on our way to Grottaglie. 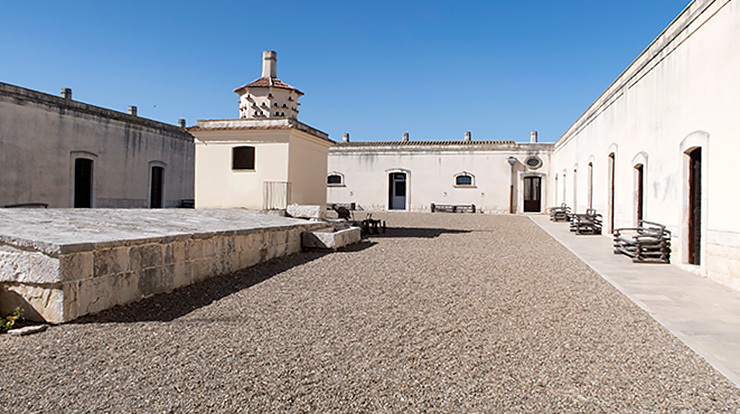 The castle was purchased by the Imperiali in the 17th century from the Orsini family. 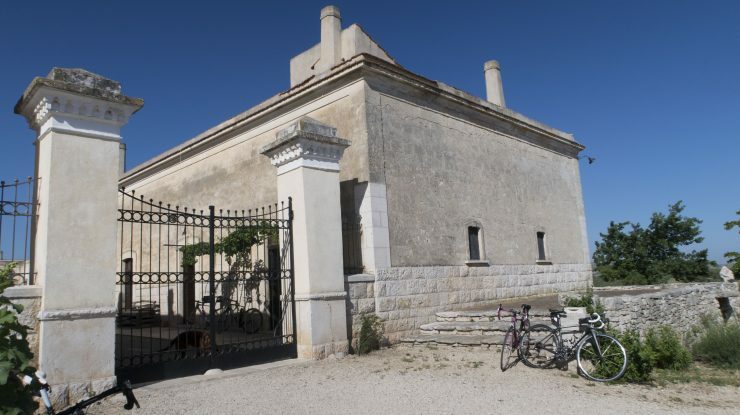 The castle has been completely restored and sits right in the center of town. 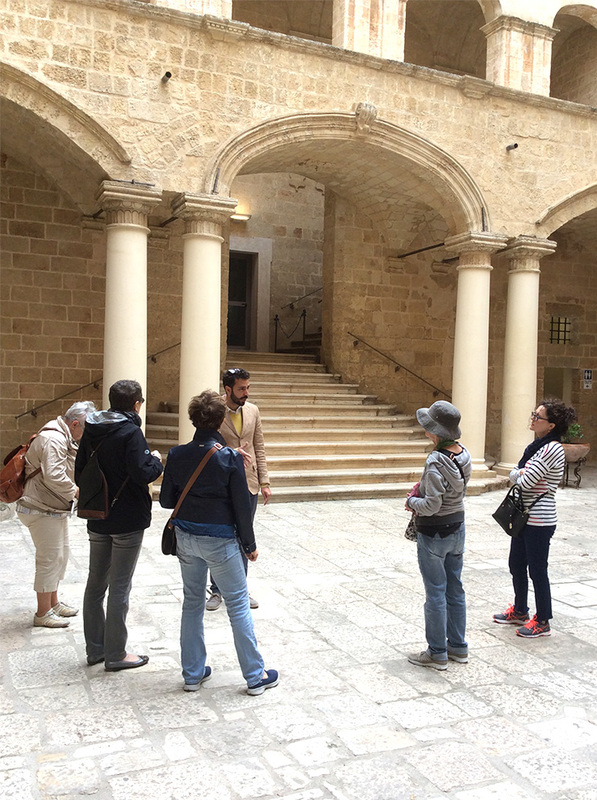 Giuseppe took us on a private tour of the Castello, and shared with us his personal experience of studying there as a student. We then had a quick stop at a local bar for a quick coffee and were surprised by a visit from Giuseppe’s Mother and niece. 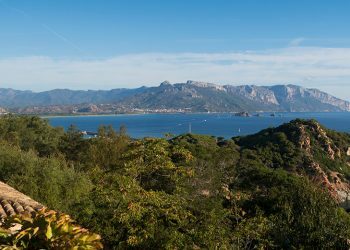 We were also gifted with a large bottle of homemade Prosecco, and another of sweet wine, but we turned down the offer of tasting either as we had a lot of traveling yet to do that day! After Francavilla, we headed to the city of Grottaglie which sits on a small hill a few kilometers from Taranto. 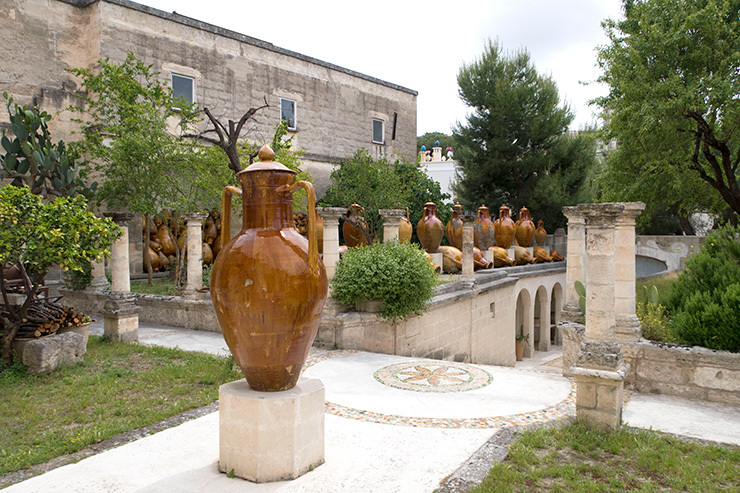 It is famous for both its wines and its ceramics, and surrounding the historic center, along winding streets is the pottery district. 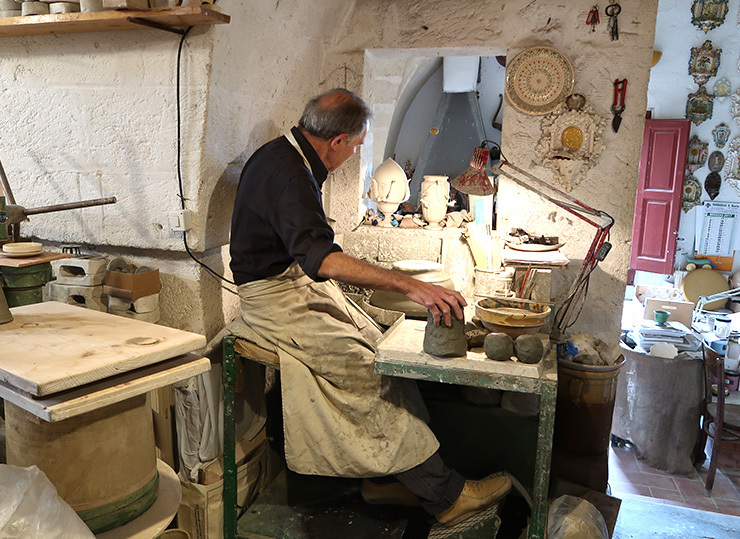 Giuseppe took us into a well-known shop where we watched the owners throwing clay and painting ceramics. 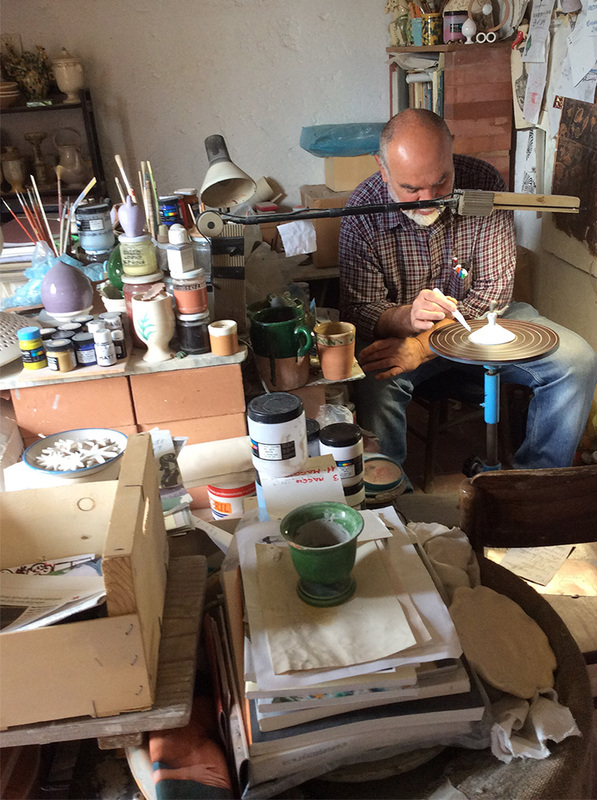 It was a tiny shop packed with their finished wares, and we were shown the traditional designs that have made Grottaglie famous worldwide. After our tour of the factory, the owner of the shop took us to visit his home. None of us were too excited at the prospect as we did not know what to expect. I honestly envisioned sitting at a plastic covered table while Nonna fed us homemade cookies and wine! What took place instead was something that all six of us ladies will always remember. We were shown a personal exhibit of history leading back thousands of years, discovered when the home was restored, and the basement was excavated. The owner told us the story of how all these priceless works of art were uncovered, and it was evident by the great care he took to exhibit all of them what a passionate and proud caretaker he truly is. 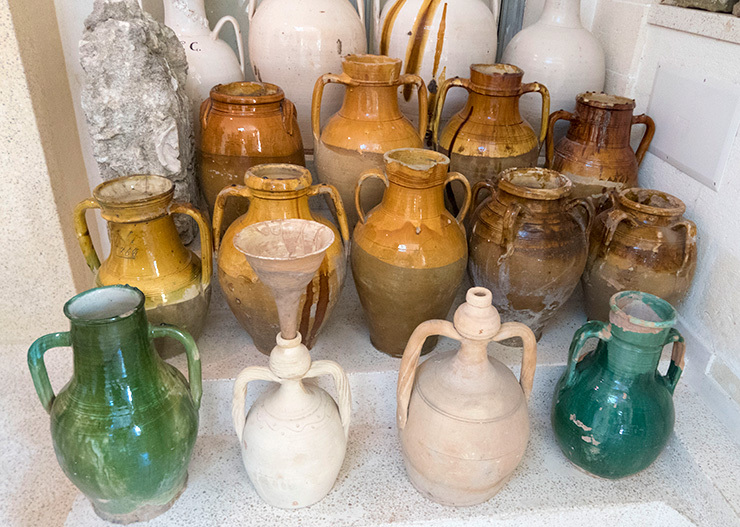 It amazed all of us that these museum quality pieces were sitting in a private home, but it was explained to us that the state had originally confiscated many pieces but then returned them as they simply do not have any space left in museums to show them! 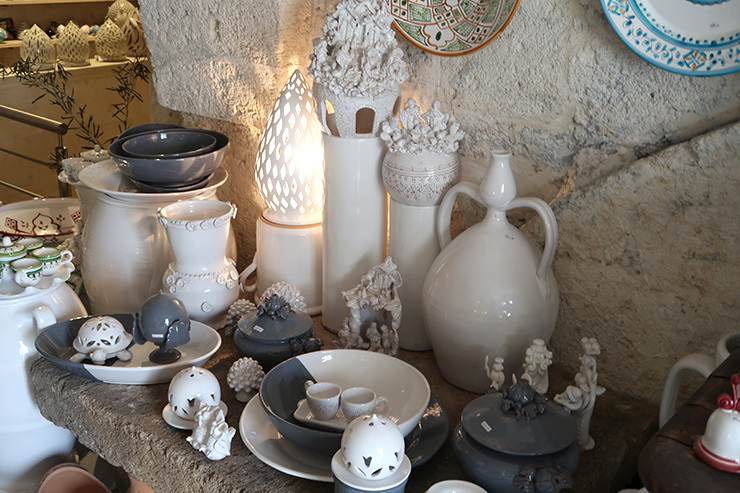 After our very memorable tour of this beautiful home museum, it was time to shop for ceramics. 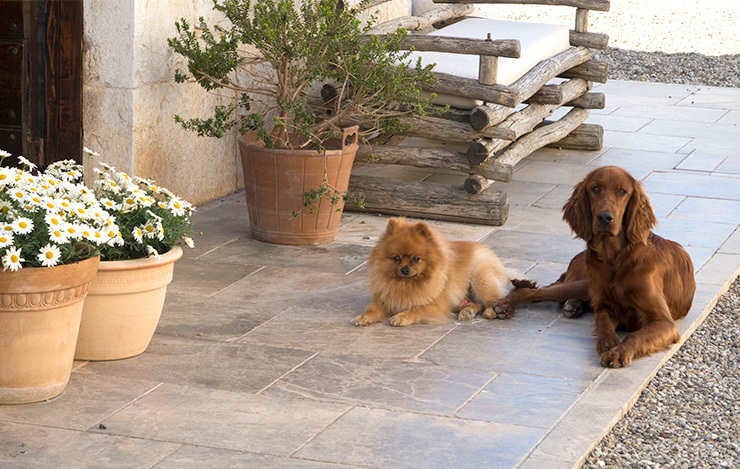 Being very familiar with Italian ceramics myself, including the traditional pieces of Puglia, I searched for and found a pair of Pupe figurines, along with a Puma for the new house we are building. The Puma is egg-shaped, and is a symbol of good luck, prosperity, and even fertility, and can be found displayed in most homes in Puglia. After finally rounding us all up after each of us completed our shopping, (Giuseppe truly has the patience of Job!) 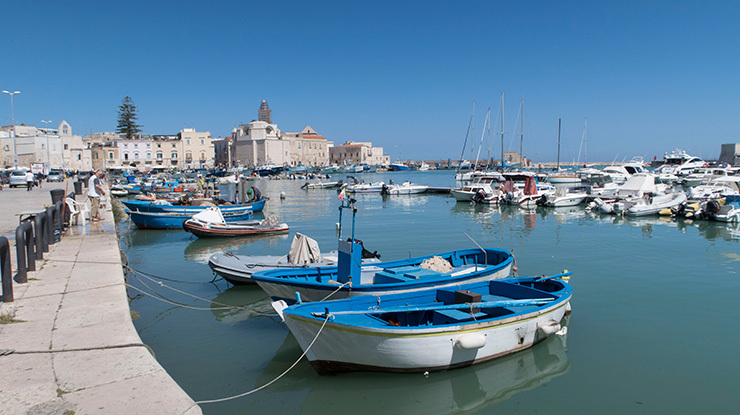 we headed on to Taranto by car to have lunch in one of Giuseppe’s favorite restaurants, Al Canale. 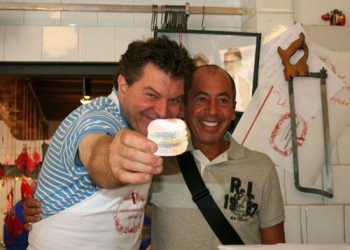 We thoroughly enjoyed yet another fantastic seafood meal along with a lot of laughs with Giuseppe. The plan after lunch was to head to the Taranto Archaeological Museum, but after yet another big meal, some of us needed to walk. Giuseppe headed off to the museum with some of our group, while the rest of us walked and we met back at Il Canale a couple of hours later. Before heading off to Matera, our stop for the night, Giuseppe serenaded us with a Pugliese folk song while playing the tambourine. We all thanked him for a wonderful day we will all remember fondly, climbed back into our cars yet again, and headed off to Matera. 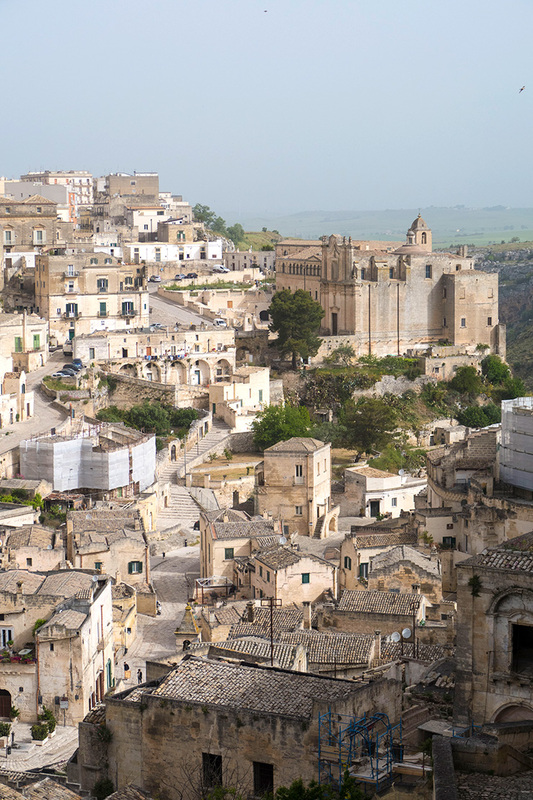 Matera is actually in Basilicata, not Puglia, so we were leaving Puglia for just one night. 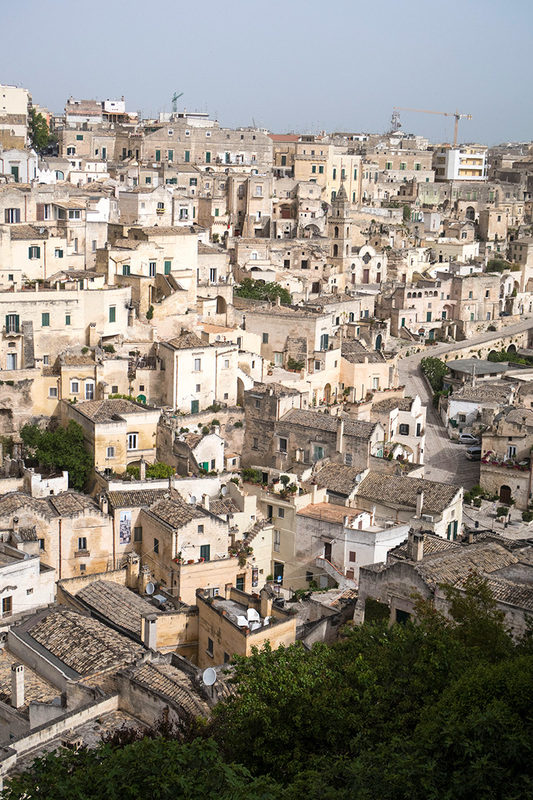 Matera is unlike any place I have ever visited, and even after many trips there, it still amazes me. 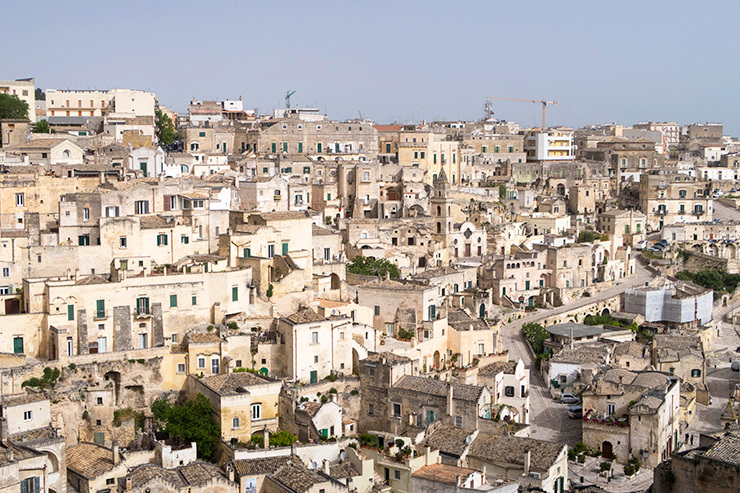 Matera is famous for its sassi, or complex of houses, churches, and shops built into the natural caves of the Murgia. 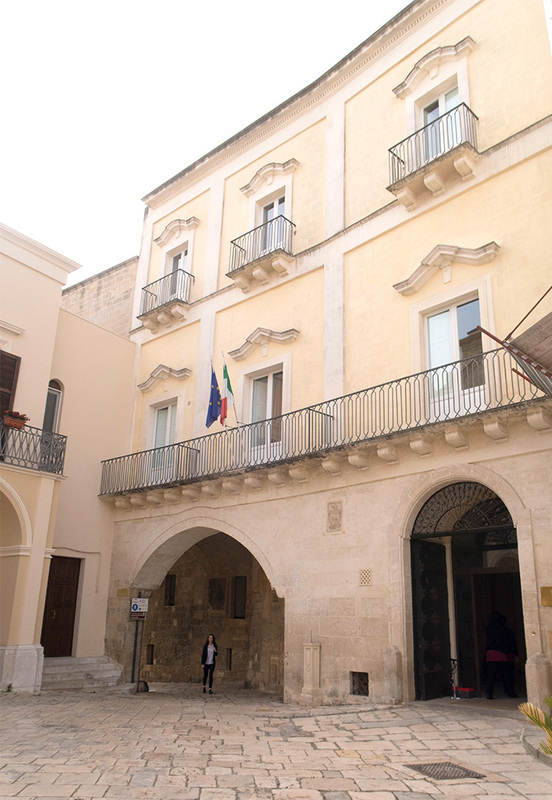 Because of its historic appearance, over twenty-six movies have been filmed over the years in Matera, including Mel Gibson’s The Passion of Christ. 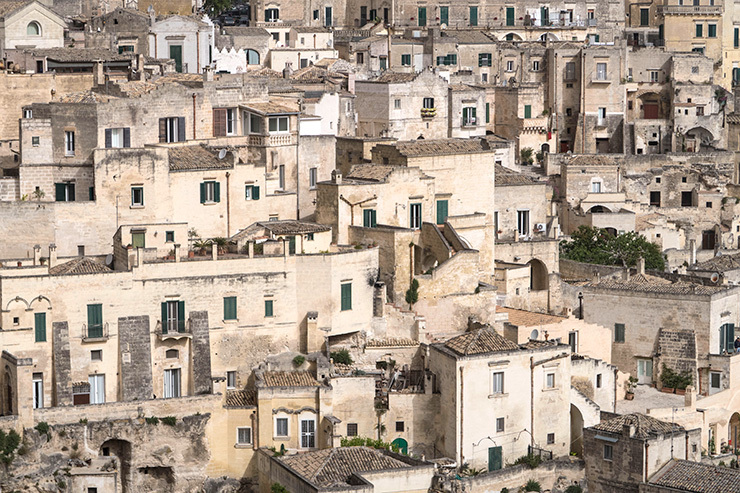 Matera was named a UNESCO World Heritage Site in 1993 and is well worth reading about. 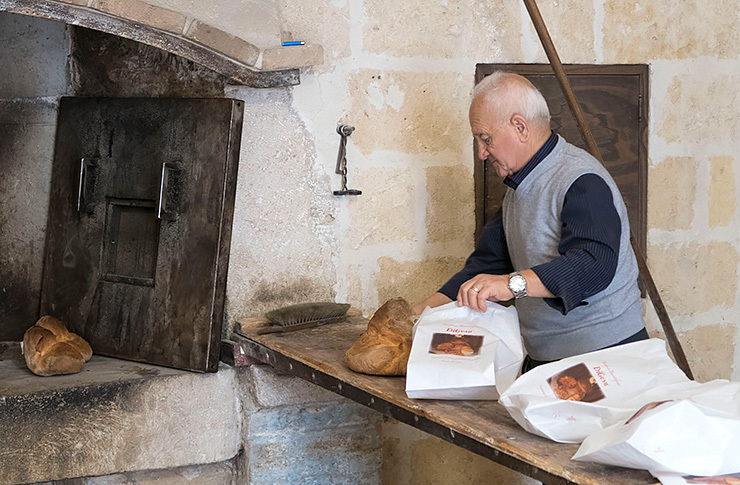 I honestly could write a book about Matera, but since this is a blog post about our Puglia adventure, I’ll keep the information about Matera brief. Our hotel for the night was Palazzo Gattini, located in Piazza Duomo. 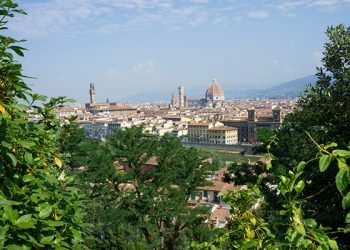 After getting over my nerves about driving right through Piazza Duomo to our hotel, we discovered it without any problems, and in fact, it turned out to be one of our easier travel destination discoveries of the trip. Best of all, the hotel had a dog bed, food and water bowls, and two bottles of water waiting in our room for our little dog Zoe who has been traveling with us! The hotel was lovely, the rooms unique and elegant, and the location just perfect to visit the historic sassi, or to shop in the newer town. 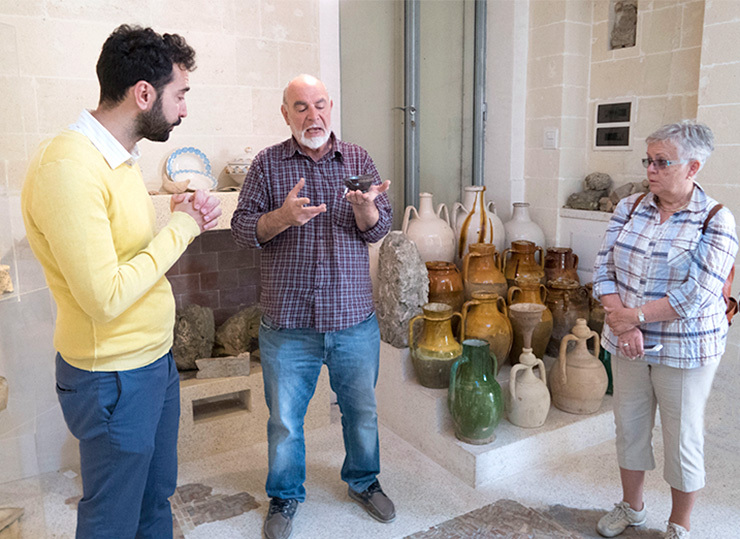 Later that day, Antonio, a Matera local guide, met the entire group for a walking tour of Matera and then we all met at an ancient sassi church turned into a restaurant for a very private special candlelit meal. Although the meal itself was not one of my favorites, the experience and ambience were unrivaled! Love The Clean Grey & White Colors! 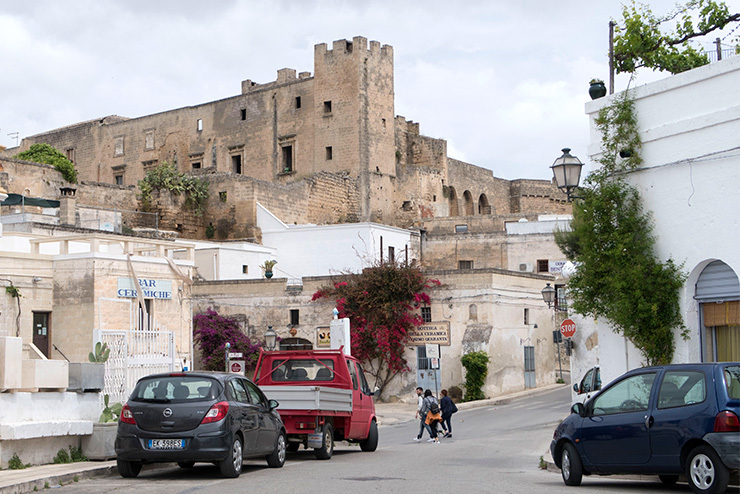 Today after breakfast in the hotel, the riders left a little later with a ride through the Alta Murgia National Park before heading alongside Castle del Monte and then to that night’s hotel. 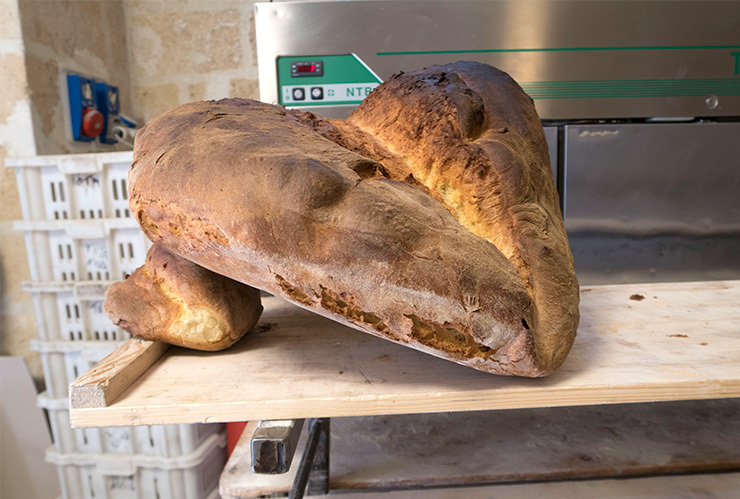 The ladies were on their own to locate Altamura in order to visit a very traditional bakery where they make the famous Pane DOP di Altamura. 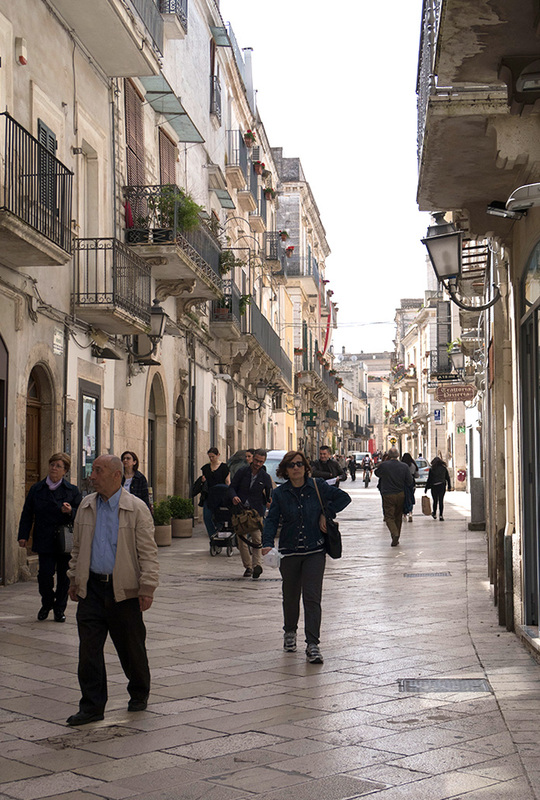 After having a little trouble getting our cars brought to the hotel from the parking garage, we finally headed off to Altamura only to find the city packed that day as it was market day. 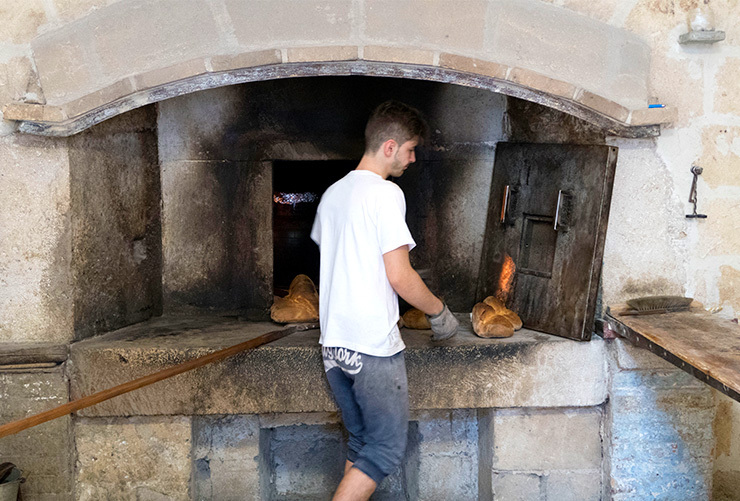 After trying to locate the bakery by car which was impossible, we finally found parking on a larger street and then headed out to find the bakery. We met a lovely older couple while walking with our map who once they knew what we were looking for took us directly to the door of the bakery. There was some confusion because we were a little late and the guide that was to meet us had another appointment so had to leave the bakery before we even arrived. The nephew of the original owners who runs the bakery today spoke enough English however, to give us a good explanation on how this bread became a DOP product, and what restrictions they must follow to be able to label their bread DOP. 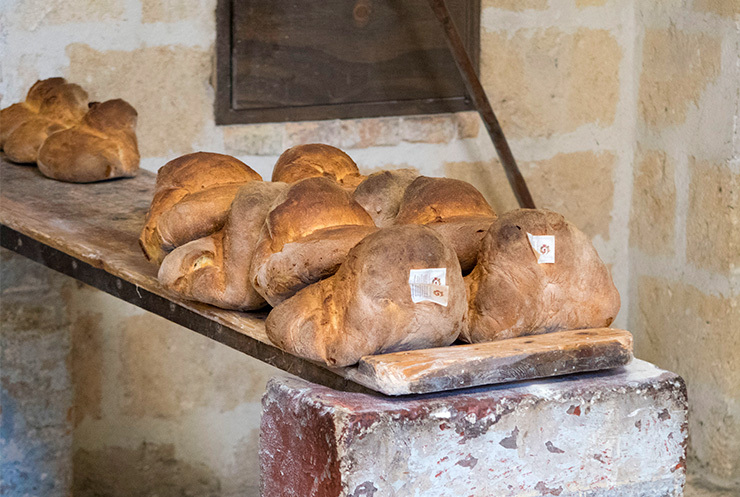 Each loaf of bread has a DOP label attached to it before to is baked in a huge wood-burning oven along with dozens of other loaves. 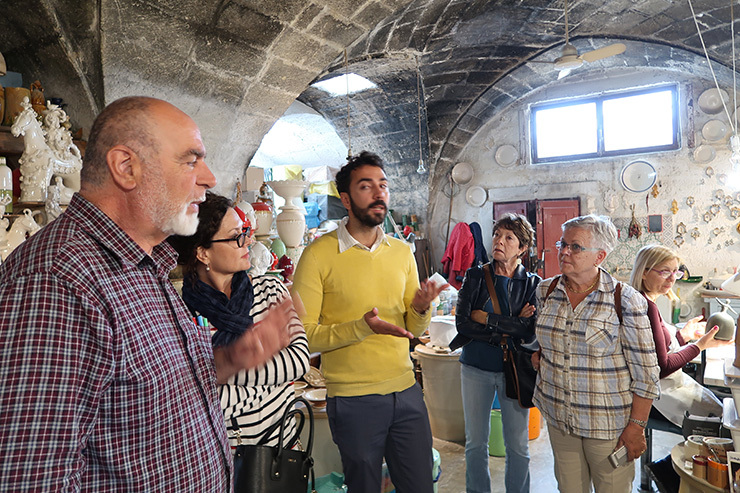 After sampling some of their products and getting directions to the historical center, we took off to do some site seeing in Altamura. Having never visited Altamura before, I found it a lovely town to visit. 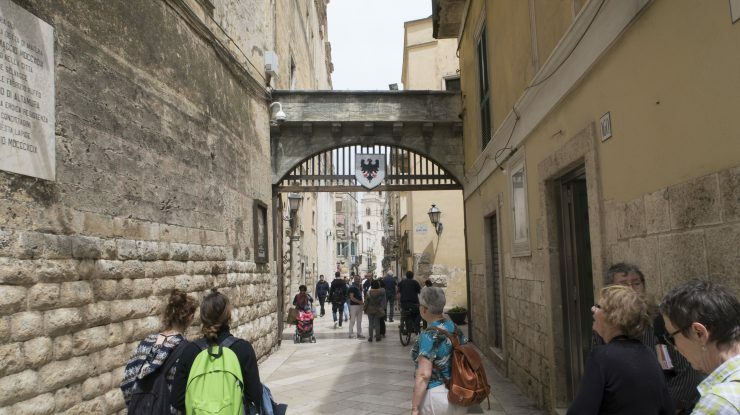 The historical center has closed off traffic to cars, and so you can walk along and shop without worry. After shopping for an hour or two, we set off to find somewhere in the historical center for lunch. We came across a small place just off the main shopping street, and while we were deciding if we should try it, an old man walked by and told us that the food was excellent there. 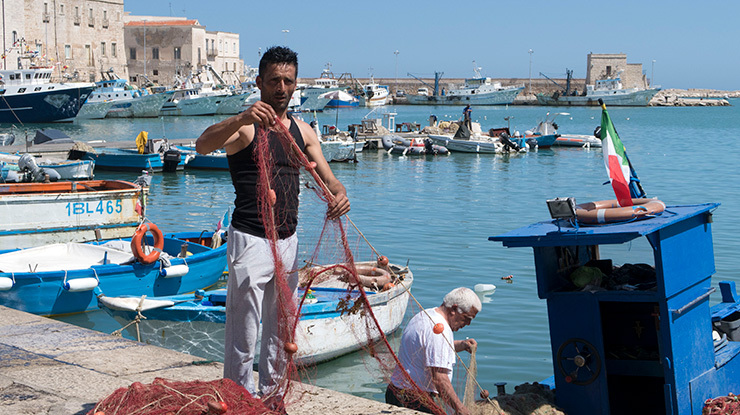 After entering, we saw that the small trattoria had only locals dining there who all seemed to be enjoying the daily menu. 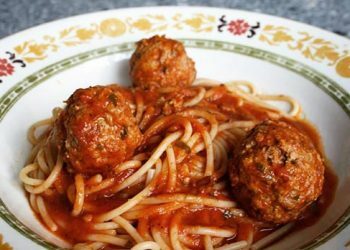 Although our food took a little longer than we would have liked to arrive, it was a great local place to eat; the food was excellent and very inexpensive. 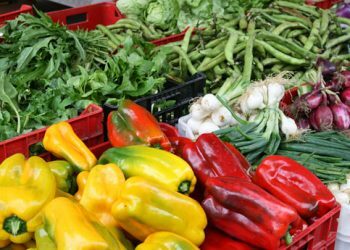 Always trust the locals when looking for a good, low cost meal! 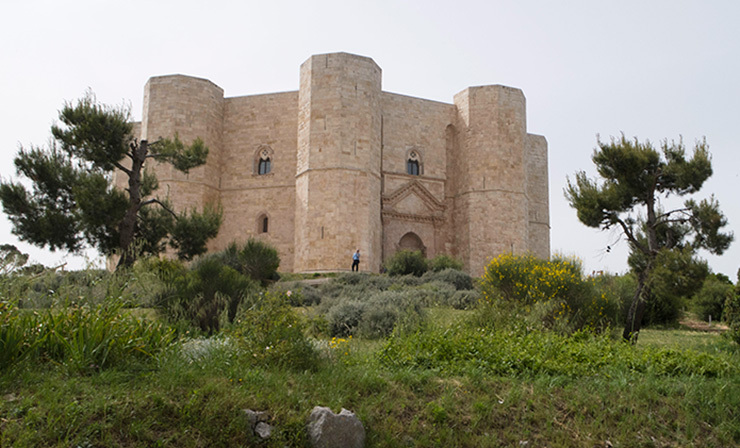 After returning to our cars, we were off to Castle del Monte, a 13th-century citadel, and castle situated on a hill in Andria in the Apulia region of southeast Italy. 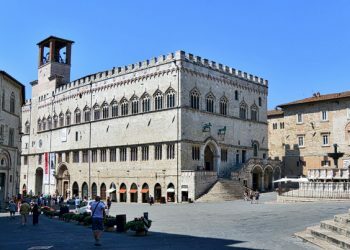 It was built during the 1240s by the Emperor Frederick II, who had inherited the lands from his mother Constance of Sicily. It is truly a fantastic site sitting up on a hill with nothing but farmland around it. We arrived early, and after hanging around for a while, we were greeted by a Southern Visions employee who told us that our guide would be late. We were warm and tired, and anxious to get to our hotel for the night, so after waiting for a while, we set off to discover the castle on our own. Our guide caught up with us, and after telling him that we were tired and only wanted a quick tour, he gave us a synopsis of the history while we walked through the castle. 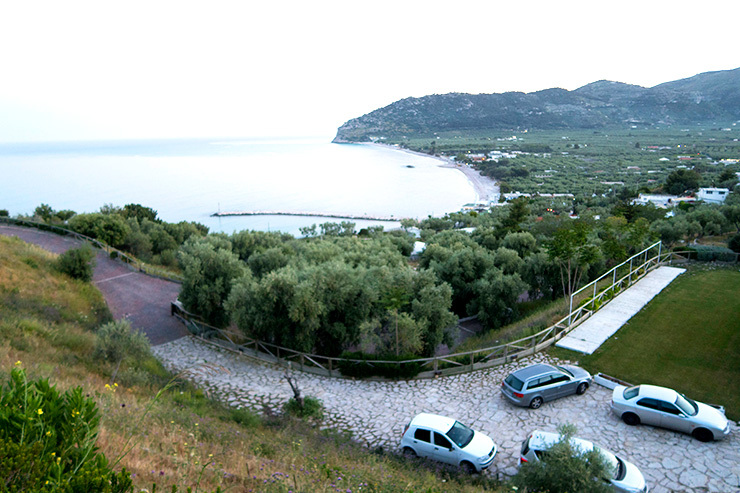 We then headed off to Agriturismo Lama Di Luna, our stop for the night, a few kilometers away. Lama di Luna was probably our most rustic accommodation of the trip although the rooms were spotless, and the buildings were unique. Unfortunately though, the owners had some dogs on the grounds that were fascinated by my five pound Yorkie Zoe, and they all followed us around whenever we took her outside our room. The Pomeranian, a male, was particularly infatuated with her if you know what I mean, while one of the Irish Setters kept breaking into our room by opening the door herself in order to come in and find Zoe. It was NOT Zoe’s favorite accommodation as she was nervous our entire stay! Later that evening we headed to the fantastic Antichi Sapori Trattoria for an amazing Pugliese meal prepared by Pietro Zito. This restaurant is in the tiny town of Montegrosso, and it is only because of the breathtaking field to table dishes that the place is packed full every night. 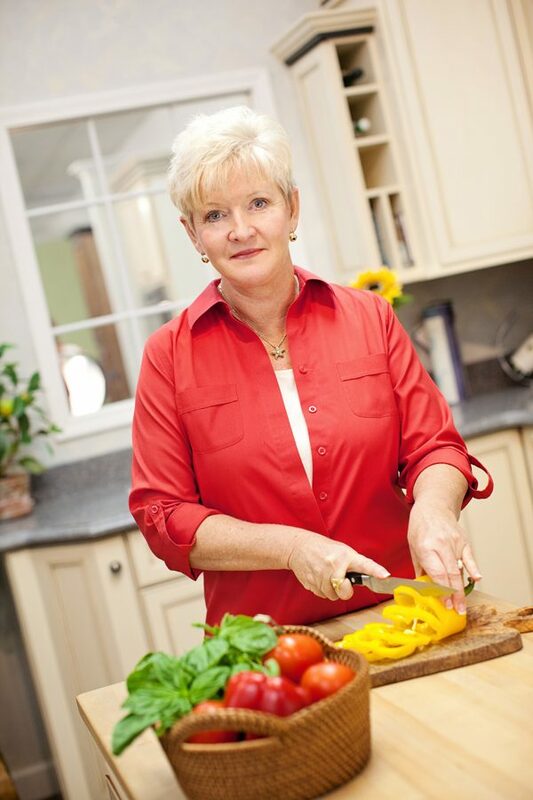 There is no menu as the chef creates a daily menu around what ingredients he finds fresh and seasonal each day. 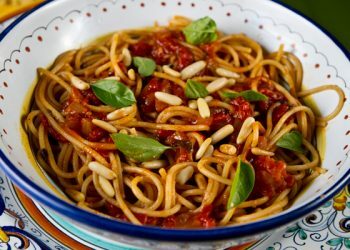 The meal was certainly one of my favorites of the trip, and I will certainly return on my next trip to Puglia! A Ten Kilo Loaf Of Bread! 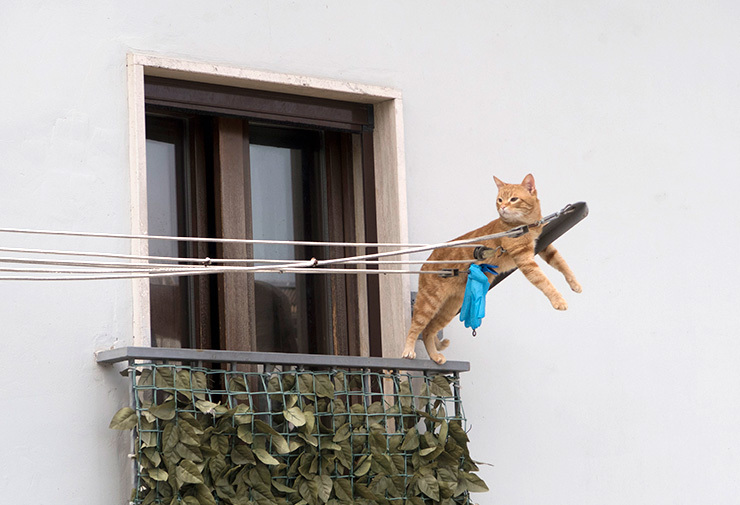 While Looking For The Bakery We Came Across This Cat In Altamura – Hung Out To Dry??? The Two Culprits Who Terrorized Zoe! 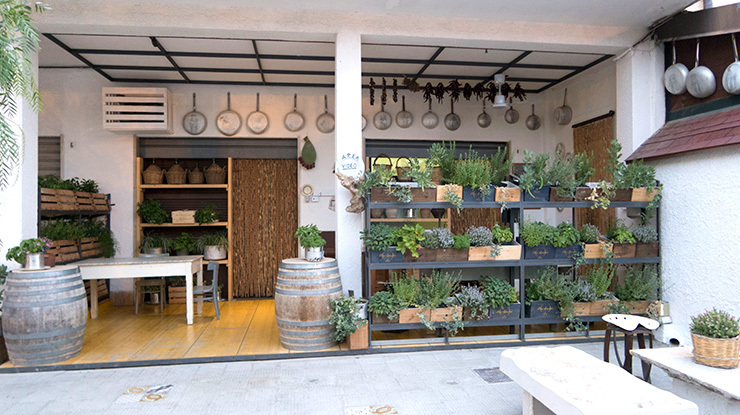 Outside Antichi Sapori Pietro Zito – LOVE The Herb Garden! 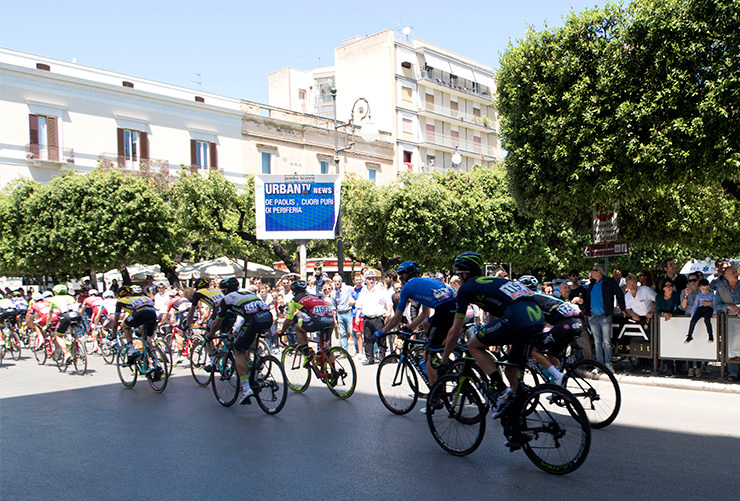 Today the entire group left to head towards the coast once again to Trani, as the Giro D’Italia was passing through mid-day. 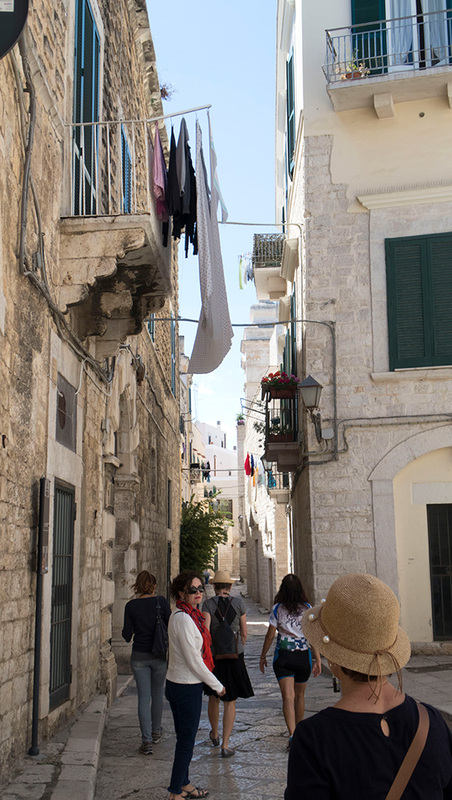 Once in Trani we met Anna, our guide for the morning who took us around the historical part of Trani giving us all a quick overview of this beautiful city. At around noon, we lined up in the streets preparing for the Giro riders to pass through along with hundreds of locals. 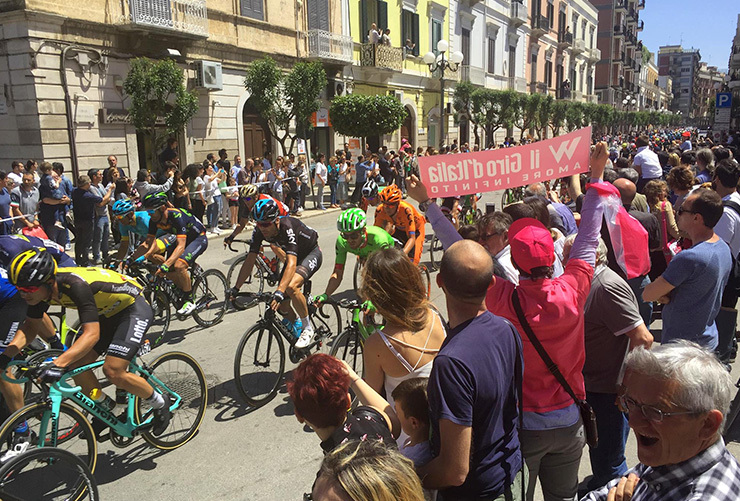 My husband and I try to see the Giro every year at least one of their stages, so it was very fortunate that we were able to join in the excitement in Puglia this year. When you are only watching the riders pass through town as we did, rather than either take part in a start or a finish of a stage, it takes place very quickly. Before you can even get your camera focused, it seems they have already passed by! 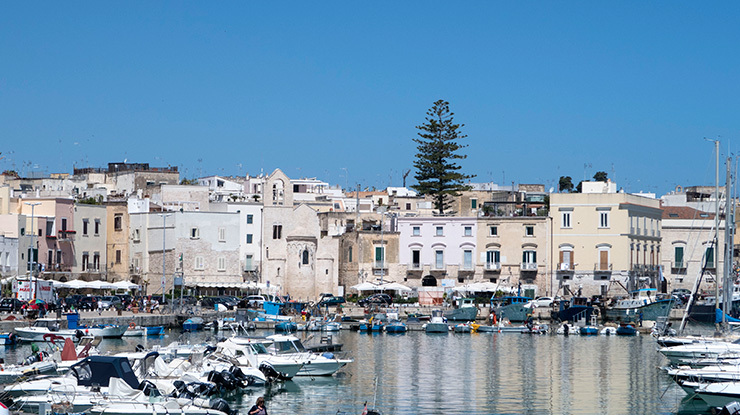 While waiting for the streets to clear, the non-riders headed down to the harbor for a waterside lunch at a local pizzeria, and after lunch, we headed down to Puglia’s largest shopping center in Monopoli to waste away a couple of hours taking part in some retail therapy. The cyclists took off to ride the same roads that the Giro cyclists took earlier, stopping off for a picnic lunch along the way. 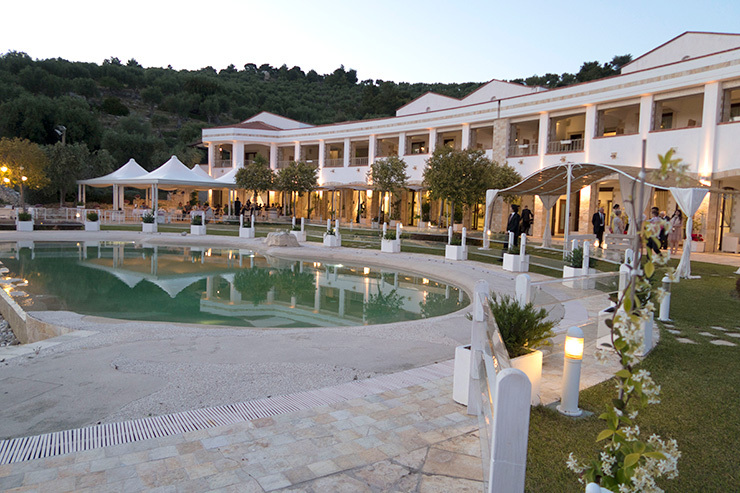 This night’s stay was at Hotel Il Residence Il Porto in Mattinata along the Gargano peninsula. It is a large hotel with apartments above it, and those lucky enough to stay in those rooms had their own washing machines. After nine days on the road, we were all happy to be able to wash some clothes! Dinner that evening was at Il Porto where we enjoyed a light seafood meal. 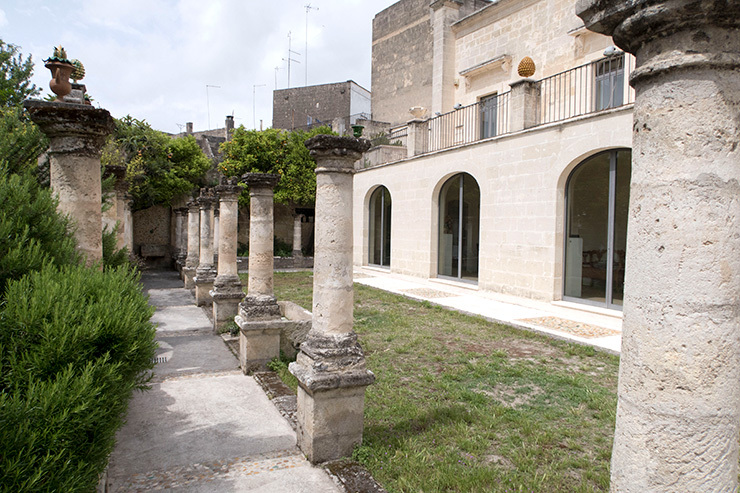 what is the purpose of the tags on the Pane di Altamura? 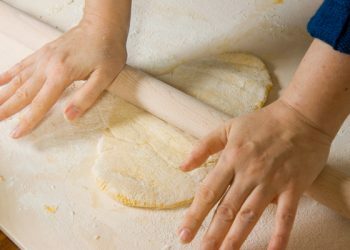 To show that they are DOP and have followed the necessary regulations to label the bread that way.